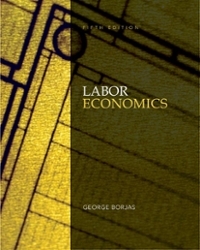 Labor Economics 5 Edition Labor Economics, 5e is a well-received text that blends coverage of traditional topics with modern theory and developments into a superb Labor Economics book. The Fifth Edition builds on the features and concepts that made the first four editions successful, updating and adding new content to keep the text on the cusp of recent events in the Labor Economics field. The new edition continues to be the most concise book in the market, enabling the instructor to teach all relevant material in a semester-long class. Despite the book’s brevity, the instructor will find that all of the key topics in labor economics are efficiently covered in the Fifth Edition. Thanks to updated pedagogy, new end-of-chapter material, and even stronger instructor support, the Fifth Edition of Labor Economics remains one of the most relevant textbooks in the market.